David Comments: I wonder what kind of reception he gets with that helmet. Now that’s the title of my next album 😀 And when I say next, I mean first. I do think this is awesome though. I like to think he has been posing like that for several hours. Here’s a gag that never gets old. Just run up to Hrolf and tap the tip of his helmet. It rolls right off his head. Just don’t hit it from behind – he hates it when the nose guard jabs his face. 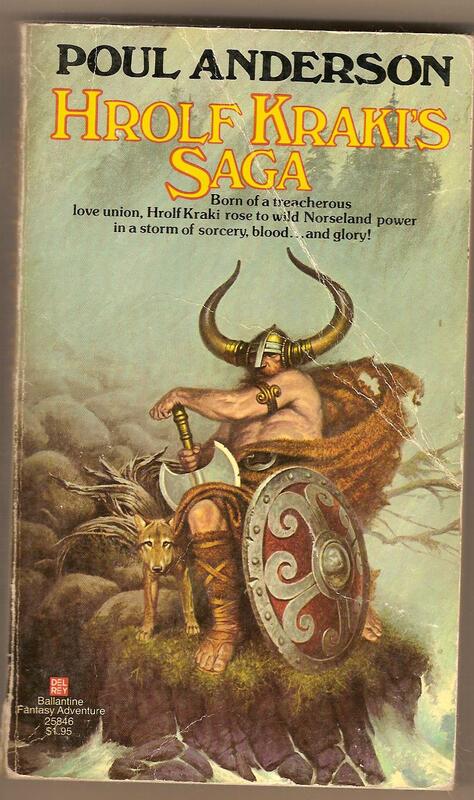 My initial impression is that Hrolf was sitting in a huge woven basket-chair that was coming apart. Then I thought, “No, that can’t be right. It’s his hair. Huge and dreadlocked, it swirls around him like a cape.” But then it appears that he’s also wearing it. Although I would think that a cloak made of coarse rope would chafe incredibly. And anyway I can’t imagine anyway he could anatomically be in that position unless he’s seated. Which brings us back to the basket chair. With a slip of the axe and additional arm weight, he is just asking for his leg to be chopped off. I can just envision one horn full of mead and another full of fruit. Perhaps the helmet is only a little bucket type helm and the horns are really attached to his head? (Sorry, but I could’nt resist inserting a gratitious Thrud The Barbarian reference here, given the outregous helmet design…). That’s a very short handle on that axe. Did he steal it from some midget …umm.. dwarf, I mean? So Hrolf was clearly an upper-class twit Viking. I don’t know I kind of like this one. It is nice to see a model whose body looks more like a real person rather than a chistle-cut steriod popper…People are going to think I’m into bears now aren’t they? He hasn’t missed many meals, has he?